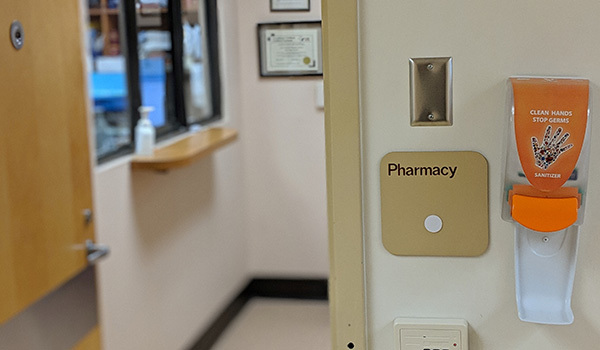 The Community Against Preventable Injuries, London Drugs and Fraser Health Hospital Foundations partner to provide more guidance to seniors taking multiple medications and reduce preventable overdoses and dangerous drug interactions. April 4, 2019 – New Westminster, B.C. – Every year in British Columbia, the Drug and Poison Information Centre receives 26,000 calls about poisoning, including almost 4,000 drug poisoning cases that require hospitalization, and approximately 500 of which are fatal. A quarter of these serious cases occur among adults aged 55 and over. The task of taking multiple medications on time or not taking duplicate doses by mistake is an ongoing issue among this age group and a contributing factor to the high number of serious poisoning cases. “Many adults over the age of 55, especially those with chronic health conditions, have multiple prescriptions. Each new drug, vitamin or over-the-counter product that’s added to the mix increases the risk of adverse side effects and medication interactions,” says Nabeel Abrahani a Pharmacist at London Drugs. A recent poll conducted by Insights West on behalf of London Drugs found that one third (34%) of Canadians aged 55 or older are not taking their prescription medications properly. This includes one in five who admit that they make adjustments to prescription dosage, size, or frequency without consulting a healthcare professional. The same number (18%) say that they have trouble remembering when or if they have taken a medication. This April, in an effort to reduce British Columbians’ risk of experiencing dangerous drug interactions, Preventable, London Drugs and Fraser Health Hospital Foundations are partnering to raise awareness among Seniors about the importance of knowing and tracking all their medications to reduce preventable overdoses and dangerous side effects when some medications are mixed – including over-the-counter drugs. As part of the campaign, patients can download or pick up a free card at participating London Drugs locations, which they can fill in with their list of current medications and anything else they are taking including vitamins, minerals and herbal products, and have it reviewed by a pharmacist. “Bringing awareness to the dangers of medication poisoning and providing our community with some simple tools to help prevent these accidents will hopefully help stop some individuals from ending up in our emergency department.” says Charlene Giovannetti-King, Executive Director of Eagle Ridge Hospital Foundation. Medication reviews and pharmacist consultations are safeguards designed to make sure that patients take all medications safely. They also help patients to understand the purpose and potential downsides of medications and to avoid serious drug side-effects. Patients taking multiple medications are often advised to use blister packs; a convenient solution to help patients organize medications into easy-to-use containers to help prevent dosing errors and to ensure they take the correct pill at the right time. Each and every London Drugs location can provide pill packs for up to 4 daily dosing times and up to 4 weeks’ worth of medication. Results are based on an online study conducted from February 13th to 28th, 2019 among a representative sample of 633 English speaking Canadian adults aged 55 years or older. The data has been statistically weighted according to Canadian census figures for age, gender and region. The margin of error—which measures sample variability—is +/- 3.81 percentage points. Discrepancies between totals are due to rounding.